Hope Hicks has gone from emulating Ivanka Trump’s style to mirroring first lady Melania Trump’s fashion picks. Since President Trump’s election, the right has turned against Ivanka. 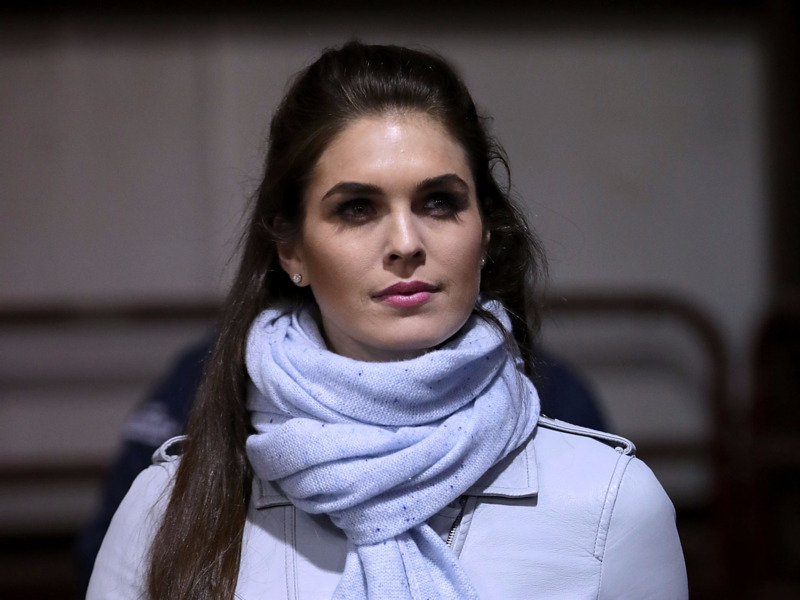 Hicks’ fashion choices could signal a shift in how the White House communications director – once an ally of Ivanka – is thinking about the Trump administration. Hope Hicks has come a long way since doing PR for Ivanka Trump’s fashion line. And while the 29-year-old White House communications director rarely speaks on the record, the evolution of her fashion reveals some key facts about the direction of the Trump administration. During the Trump presidential campaign, Hicks’ fashion choices were very similar to Ivanka Trump’s. But over the last few months, Hicks has ditched the flattering pastels of Ivanka for the more severe fashion of first lady Melania Trump. Here’s a look at the evolution – and how it could represent a massive shift in the mindset of one of the most trusted members of President Trump’s administration. Hope Hicks began working for Ivanka Trump’s fashion brand in 2014, four years after she graduated from Southern Methodist University. When Hicks began working on Trump’s presidential campaign, she mimicked Ivanka’s accessible style — lots of business-casual dresses in pale shades or florals, with heels and long, straight hair. As Ivanka Trump campaigned for her father, her role was to convince more progressive Americans that Trump was a worthwhile political pick. As she continues to attempt to win over sceptics, Ivanka has dressed primarily in accessible styles that most Americans could buy or replicate, including her own line and fast-fashion brands like Zara. Hicks seemed prepared to fulfil the same role behind the scenes. Trump, early advisors like Corey Lewandowski and Roger Stone, and some alt-right supporters alike are known for their over-the-top antics. Meanwhile, Hicks is private and has avoided making enemies. “I have always found Hope to be great to deal with, especially given the volume of requests she must be getting,” Maggie Haberman of The New York Times told GQ. While Hicks rarely gives interviews on the record, her polished, Ivanka-inspired fashion tells a story of its own. She fashioned herself as a reasonable outlier in the bombastic and scandal-prone Trump campaign and administration. However, in recent months, Hicks seems to be undergoing a fashion pivot that could signify that there are bigger factors at play behind the scenes. 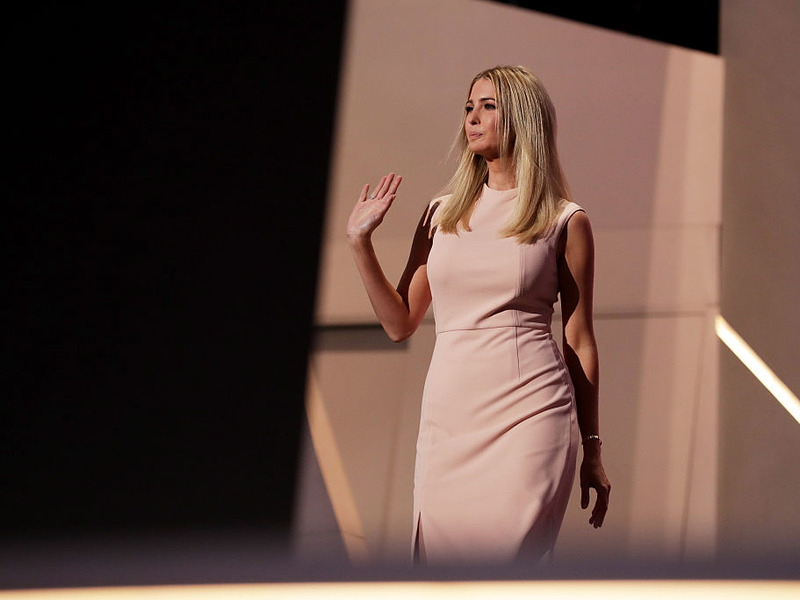 While once Ivanka Trump was a conservative darling, the first daughter has fallen out of favour with much of the right, including the president. Republicans’ perception of Ivanka Trump has dropped as the first daughter has been increasingly seen as a moderating force. Even President Trump was reportedly frustrated after Ivanka criticised Alabama Senate candidate Roy Moore, who has been accused of sexual harassing and assaulting teen girls. Over the same period, Hope Hicks has stopped taking fashion cues from Ivanka — and moved on to Melania Trump. Hicks debuted the new fashion strategy at a state dinner in Tokyo. Instead of the soft dresses that Ivanka is known for, the communications director showed up in a sleek suit that could have come straight from Melania’s closet. As Ivanka’s reputation has tanked, perception of Melania has only gotten better. According to a recent CNN poll, the first lady has a 48% approval rating, compared to the president’s 38%. So, it shouldn’t be that surprising that Hicks’ new wardrobe is filled with Melania-inspired, high-fashion looks. Melania’s sense of fashion is sleeker than Ivanka’s, with more makeup and sharper angles. Hicks seems to have picked up on the intricacies of both women’s tastes. While waiting to board Air Force One at Beijing Airport, her outfit seems to be identical to some of the first lady’s favourite travel looks. Hicks isn’t someone who will publicly trash members of the Trump administration. Instead, she is more subtle in signalling her allegiance. As other members of the Trump administration have fallen to the wayside, Hicks has held on and risen through the ranks. She knows how to stay in the good graces of the president — and right now, that looks like trying to copy Melania, not Ivanka.